Microsoft's push into PC gaming continues to be hobbled by shoddy PC ports. Let's be clear: The first half of this article isn’t so much a review of Quantum Break as it is a pan of the PC version. I mean, we’ll get to Quantum Break the game. I love Quantum Break the game! Remedy’s little time-traveling game/TV show oddball won me over. But first we need to address the state of this PC port—be it on account of Microsoft or Remedy or the Jolly Green Giant for all I care—because Quantum Break on the PC needs some work. It’s not the worst port I’ve ever played, which is a sad commentary on the state of some software we’ve seen in the past few years. It’s also not unplayable, despite some reports of frame rate issues. I’ve played it, all the way through to the end. Parts of it I’ve played twice. There aren't any game-breaking bugs to report—no bugs really, at all. A few times I thought the hitboxing on enemies was a bit busted, but the game’s so easy on PC (more on that later) that a second shot to the head usually did the trick. The problems here are more akin to the first Dark Souls PC port: A general lack of polish, sparse graphics options, (apparently) poor optimization, a 30 frames-per-second lock that doesn’t even work, no SLI/CrossFire support, and load-stuttering because the game was apparently built for SSDs (despite the fact the Xbox One only has a 5200 RPM hard drive). Oh, and instead of running natively at 1080+ resolutions, the game instead bizarrely upscales from 720p, like the Xbox version, as Digital Foundry documented. That certainly accounts for the blurriness around the edges of faces. I thought it was just a film grain issue. I have no means of knowing whether this is the case, but it smells like Microsoft or Remedy last-minute decided to bring Quantum Break to the PC. It certainly doesn’t feel like a PC version was planned from the start, regardless of whether (as Sam Lake told MCV last month) Remedy was “pushing for” it. This kind of corner-cutting usually doesn’t happen when you start off development with the PC in mind. 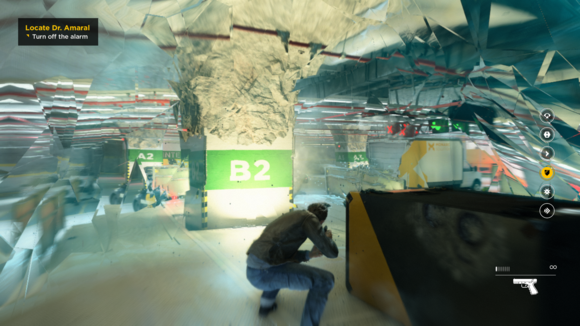 Worse still, Quantum Break is supposed to be a big DirectX 12 showcase for Microsoft. As was Gears of War: Ultimate Edition, another Microsoft-published game, which was a dumpster fire when it launched. Hell, I personally upgraded my desktop to Windows 10 for Quantum Break after nine months of putting it off. With two semi-busted DX12 launches in the span of the last month, it’s inevitable people start casting sidelong looks in Microsoft’s direction. What the hell is going on with DX12? Are the problems on the developer side, as they get used to a new way of interfacing with the PC? Are they driver issues? Engine-related? Whatever the case, the point is that Quantum Break is a terrible ambassador for Microsoft’s already-hated Windows Store walled garden and a terrible example of DX12 in action. Again, it's not unplayable! 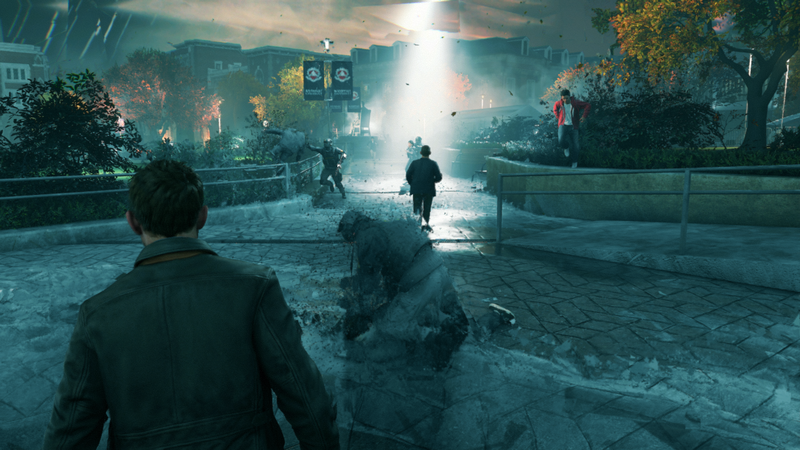 If your goal here is to simply go through Quantum Break without buying an Xbox One, you can probably do that. Double-check your specs, but I managed to mostly stay above 30fps at 720p-upscaled...on a GeForce GTX 980 Ti. Just writing that sentence makes me laugh, though. A GTX 980 Ti should breeze through this game like a car strapped to a jet engine. That I sometimes noticed dropped frames and stuttering? Unthinkable. 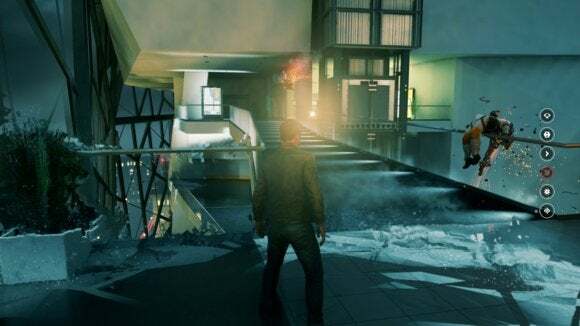 Remedy’s aware of the issues, and Remedy is apparently working on them. But the fact remains that while the game is playable, it’s certainly not polished. When it comes to ports, that makes all the difference. What makes the whole situation more criminal is that Quantum Break is damn good, though probably not an instant classic like Max Payne, or even a cult-classic like Alan Wake. The universe/aesthetic here isn’t quite as memorable as either of Remedy’s previous games. But it’s undeniably Remedy, and undeniably weird. The game opens with you—Jack Joyce, a.k.a. bland shooter guy—being called to the local university to meet with your old buddy Paul Serene, who just so happens to be a millionaire building a time machine. Childhood friend. You know how it goes. To absolutely no genre fiction fan’s surprise, Paul’s time machine pretty much explodes, opening a fissure in time and essentially kickstarting the end of the universe. Oh, and conveniently endowing you with time-warping powers that allow you to freeze time, dash/teleport like a maniacal human pinball, and make time...explode? Something like that. Really all you need is the dash move. 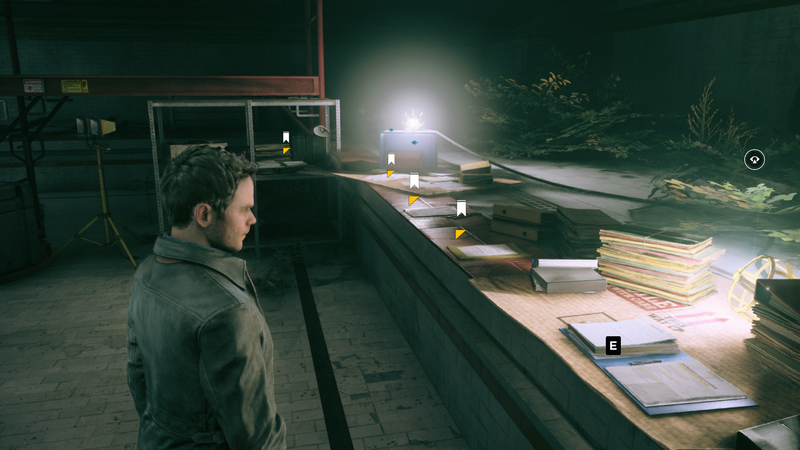 With it, Quantum Break plays pretty much like Max Payne. You run into a room, dodge around, slow down time, crack off a bunch of one-hit-kill headshots with the heavy pistol, and repeat. It actually makes the game laughably easy on the PC, and belies the fact this game was clearly built and balanced around a controller’s imprecision. But so it goes. There are five acts to Jack’s story, centered around him and his quantum physicist brother William trying to prevent the “End of Time,” which—corny name aside—is a moment in the future where time will seemingly unravel and freeze forever. ...Unless you have the technology to counteract it. Jack’s main obstacle is the shadowy Monarch Corporation, a company founded seemingly in preparation for the End of Time. They’ve developed an Ark, a secret facility where they can keep time running and hopefully “solve” the End of Time. Prevent it or solve it after the fact. That’s the main quandary here, and it’s appreciably less black-and-white than your average video game. 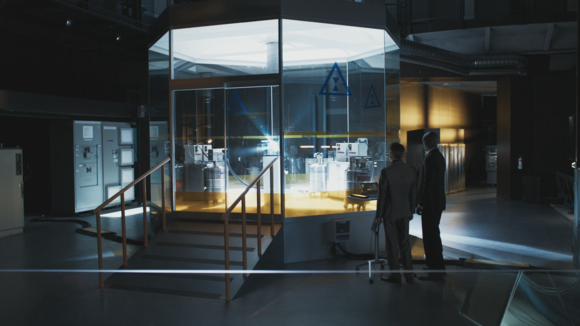 The interesting thing, and the reason Quantum Break is half-game/half-TV show, is that much of the story actually takes place on the Monarch side of the lines. The whole live-action half follows characters working in Monarch. Stripped to their core these are essentially half-hour cinematics—not something I expected to enjoy, especially since they have a certain SyFy channel quality about them at times. Take it slow though, play an act or two a night, and it ends up feeling a lot more cohesive than I expected. And the reward is a “Shadowy Corporation” that seems anything but. By spending so much time with Quantum Break’s antagonists, it ultimately results in a game that feels more like Monarch’s story than Jack’s. Prior to each episode you’ll also be faced with a huge (meaning you’ll know it when you see it) A-or-B moral choice that significantly changes Quantum Break’s story. It’s Telltale-esque, in that ultimately the story’s going to end up in the same place, but having replayed bits of the game I was actually surprised how many of the component pieces changed. It’s a game built to play twice. And...well, if you do so, at least it’ll take half as much time on your second go-round. The heretofore-unmentioned Achilles Heel of Quantum Break is how much damn time you’ll spend tracking down collectibles. Listen: These are probably some of the best collectibles I’ve seen in a game, insofar as they’re essential to understanding the plot. You would have a completely different understanding of the story if you missed or skimmed over one lengthy note in particular. But they’re awful storytelling, and they completely kill the pacing. There’s a moment where I walked into a lab and a character said to me “I found these files on the computer, printed them out and put them on that table over there.” I turned around to see five pieces of paper sitting on a desk (see above), each representing a lengthy email chains or document to read through. All told it was probably five minutes of standing still, reading text. At once. If you were diligent in your first trek through the game, though, you could breeze through all of the empty spaces and skip all the nonsense in a second run. Whereas in Alan Wake it felt like the pages you found fit the theme (a writer whose work is coming true), here it feels like a crutch. It’s the weakest part of an otherwise-strong sci fi tale—and a surprisingly smart one, too. 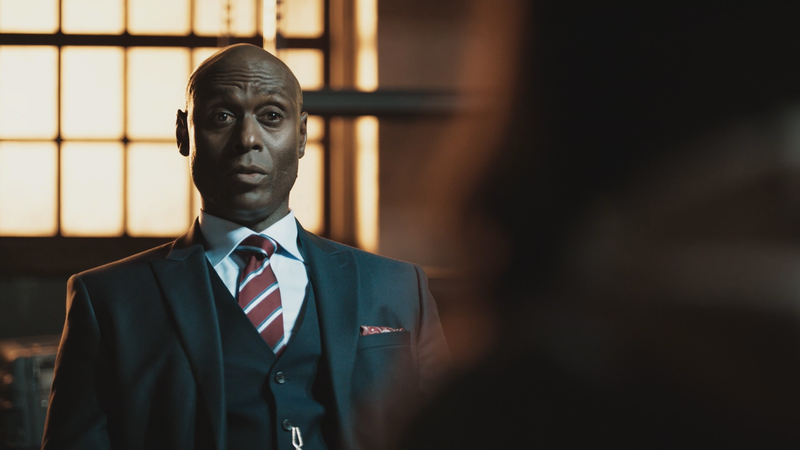 There’s nothing revolutionary about Quantum Break’s time travel, but it’s remarkably coherent and isn’t afraid to throw around phrases like “Novikov’s Self-Consistency Principle.” It’s a game that at least pays lip service to hard sci fi, which isn’t something we see often. This is the most frustrated I’ve been with a shoddy port in years. There have been other high-profile trainwrecks in the recent past, like Batman: Arkham Knight and Assassin’s Creed: Unity. But I didn’t like those games, aside from their obvious PC woes. I love Quantum Break. I’d love to see Remedy make more Quantum Break, especially given the (if you’re paying attention) cliffhanger of an ending. It’s an excellent story, a solid TV show, and a decent game all wrapped into one package. And some part of me is just happy Remedy still gets to be Remedy—a developer spending years on weird singleplayer experiences and actively pushing the bounds of video games as a medium. That’s not quite true in this era of title updates and day one patches, but when you make a first impression this bad it might as well be. 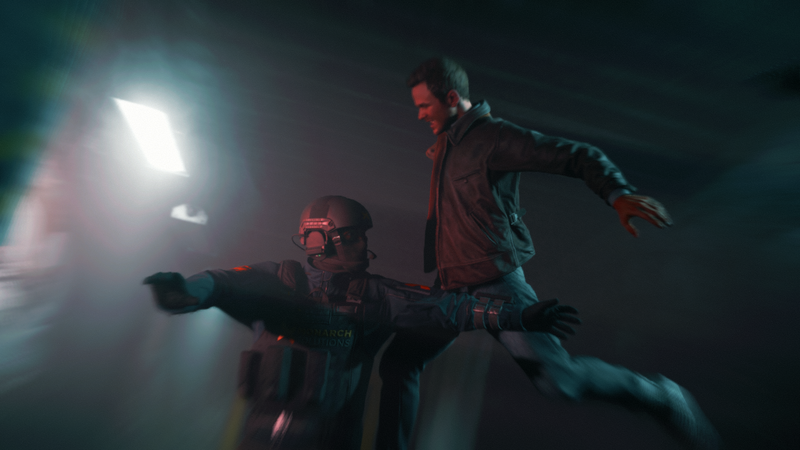 Quantum Break is a great game, but the PC version is full of technical woes. It's playable, but not the DirectX 12 showcase it should be.